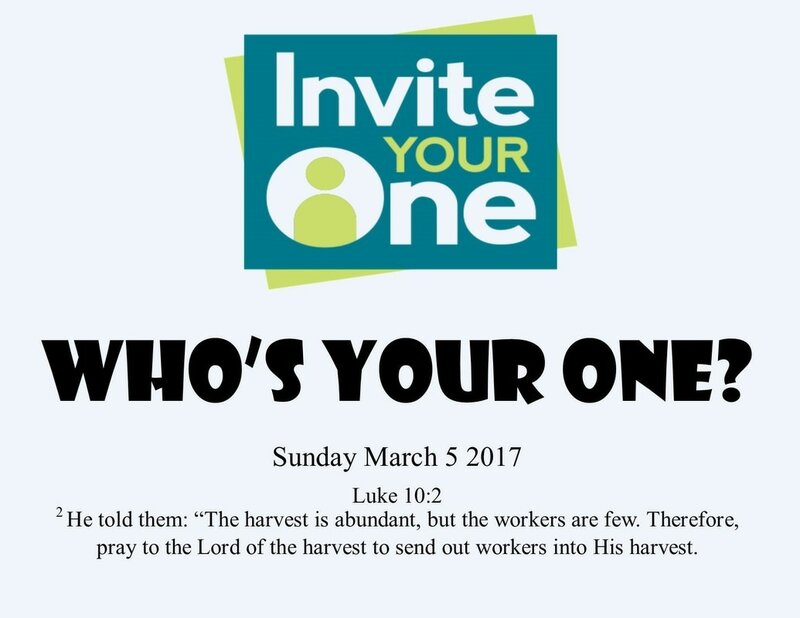 On Sunday March 5 we will be having Invite Your One Sunday. We are asking each member of our church family to select one person, who does not attend church or follow Christ, to pray for and invite them to join us for worship that Sunday morning. Begin praying now for who you will invite to worship with us on Sunday March 5, and if you are not a member please feel free to be our guest!